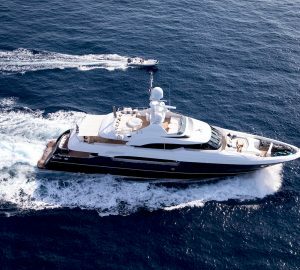 The Cantieri Navali Lavagna – Admiral motor yacht MY WAY is 29,00m (95' 1") in length, was built in 1993 and has since been refitted. 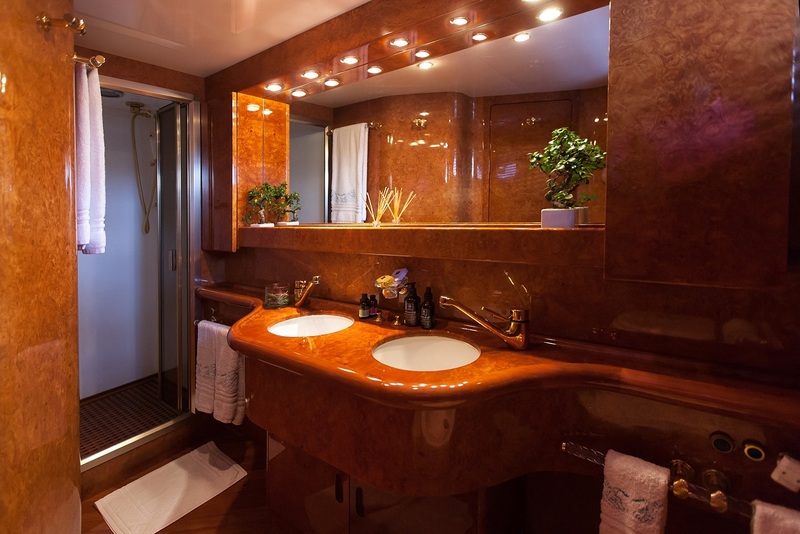 She can accommodate up to 8 guests in 4 cabins attended by 5 crew. 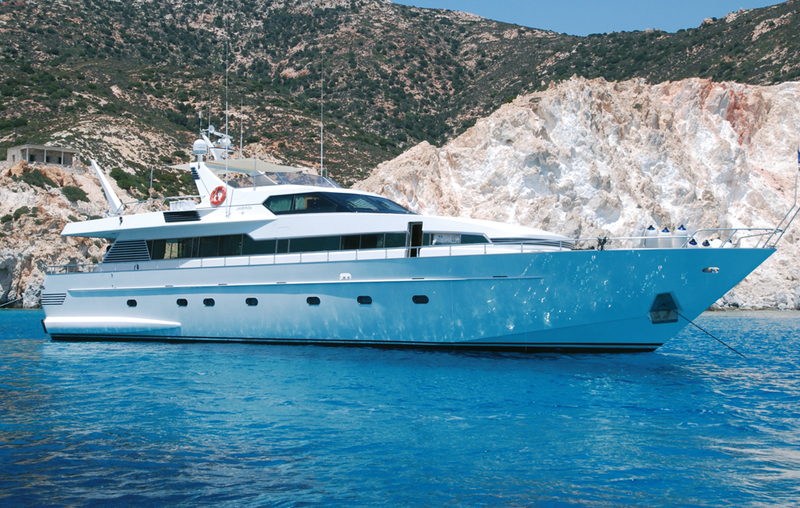 Motor yacht MY WAY is based in Greece year round and can attain speeds of 26-31 knots thanks to her dual MTU 2300hp engines. 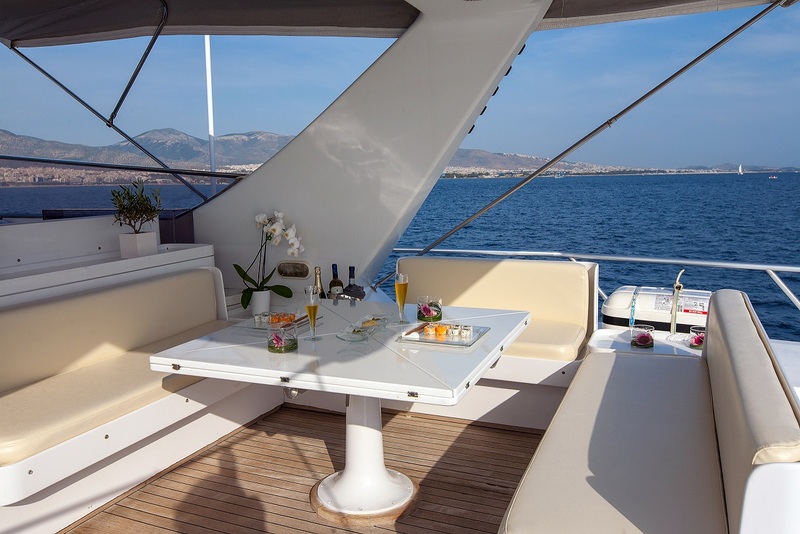 MY WAY’s aft deck features an oval shaped wooden table with director’s chairs. This is a great spot for el fresco dining, drinks or relaxing and taking in the view. 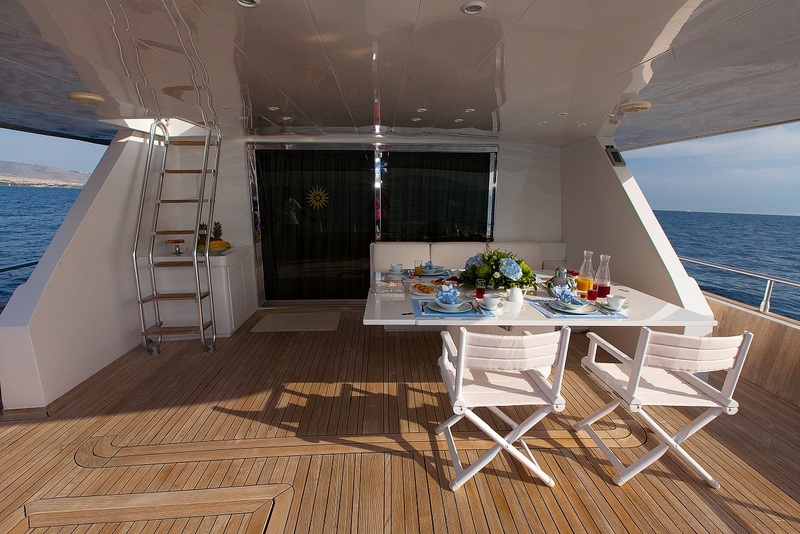 A ladder from the side of the aft deck enables quick access to the warm clear waters. 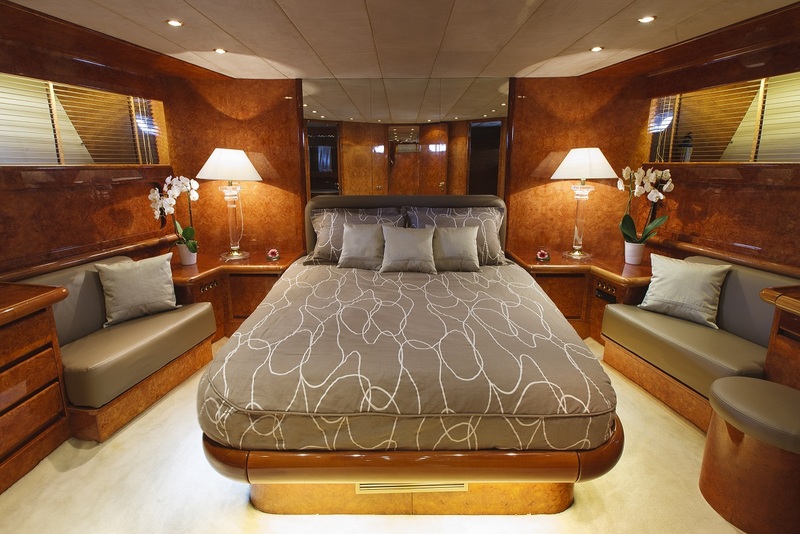 Her Fore deck features a great spot with sun mattresses. The sundeck is another area great for casual drinks and an unbeatable view. 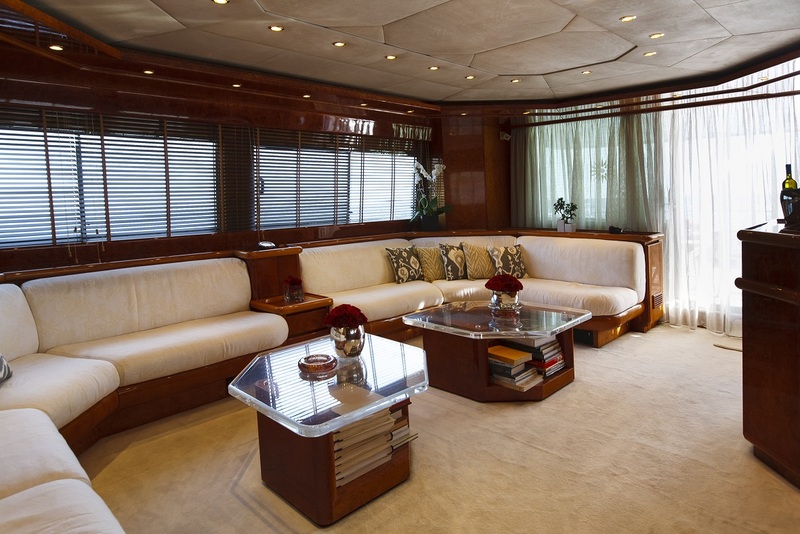 Motor yacht MY WAY has a welcoming salon with inviting and comfortable white leather sofas in the shape of two half moons, separated by a petite rosewood flat resting table. To the side of the first sofa, there is an unobtrusive mini fridge. 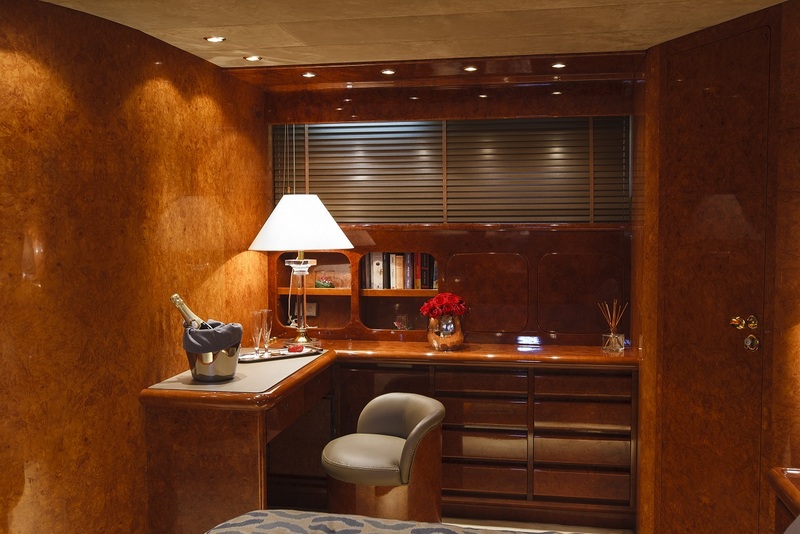 On the port side of the salon and directly across the seating area, is an elegant rosewood bar and a row of low-cut rosewood cabinets housing the flat screen TV and library. 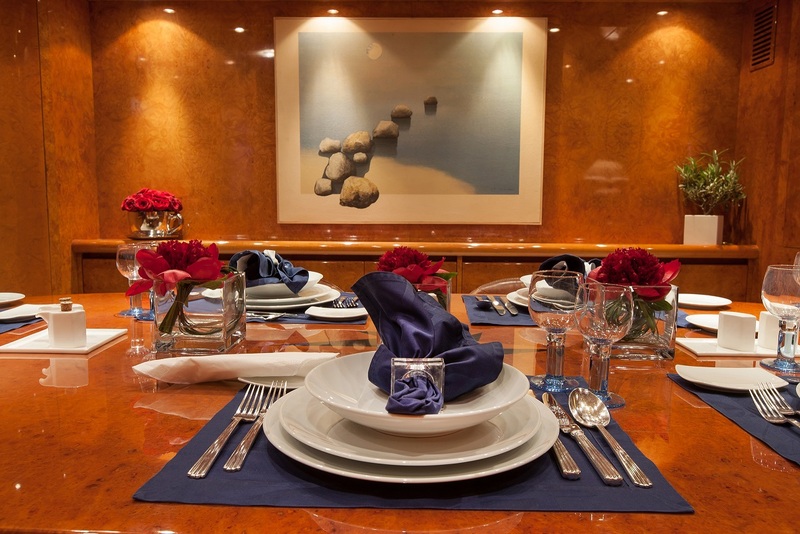 The adjoining dining area continues the same motif of décor as the salon with fine rosewood. 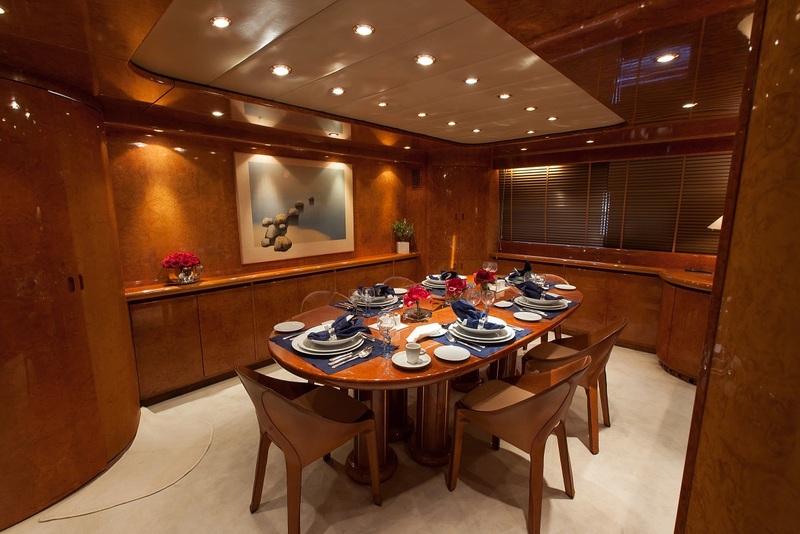 The galley is next to the dining area, offering easy access to the crew. 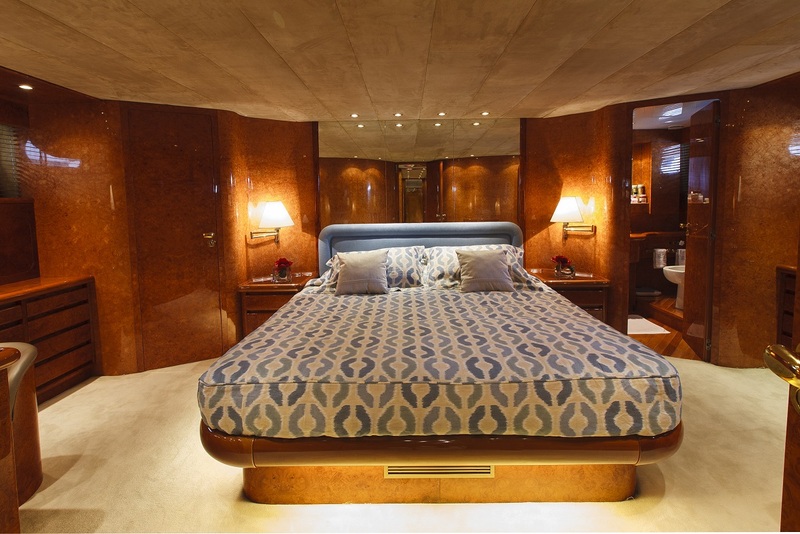 All of the cabins are located on the lower deck and include a full width VIP cabin with queen size bed, a full width Master Cabin with queen size bed and settee and 2 twin bedded cabins with en-suite bathrooms. 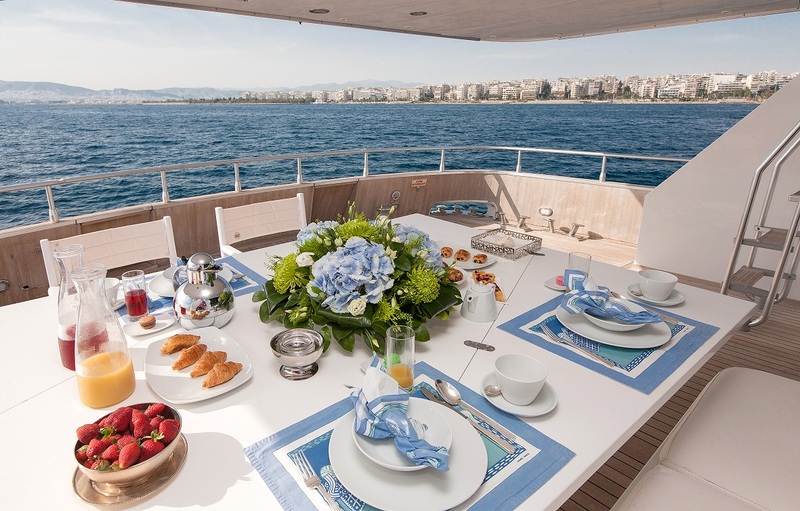 There is a day head on main deck separate dinette section. 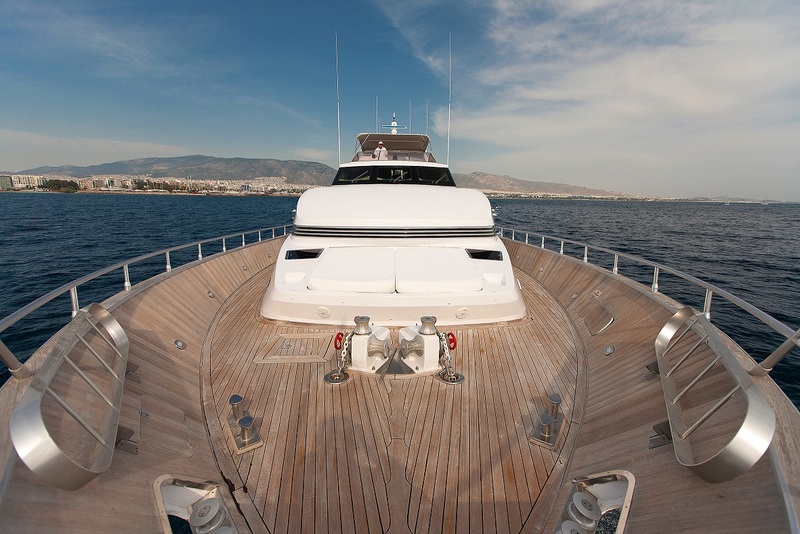 Charter yacht MY WAY is based in Greece year round and her crew are ready to welcome you onboard. 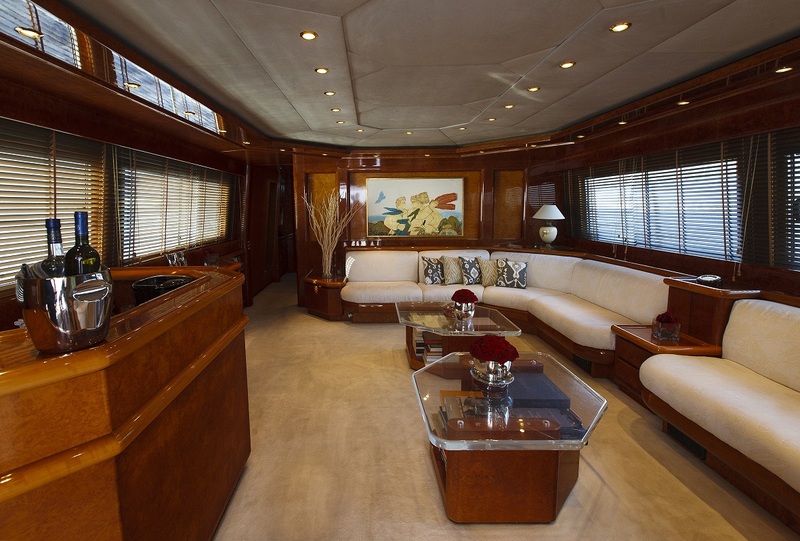 Motor yacht MY WAY is able to accommodate 8 guests in 4 cabins. 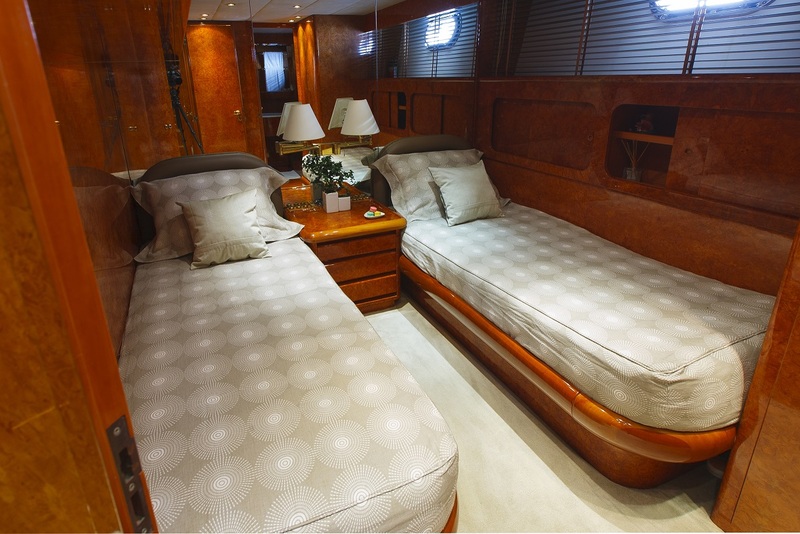 All of the cabins are located on the lower deck and include a full width VIP cabin with queen size bed, a full width Master Cabin with queen size bed and settee and 2 twin bedded cabins with en-suite bathrooms. 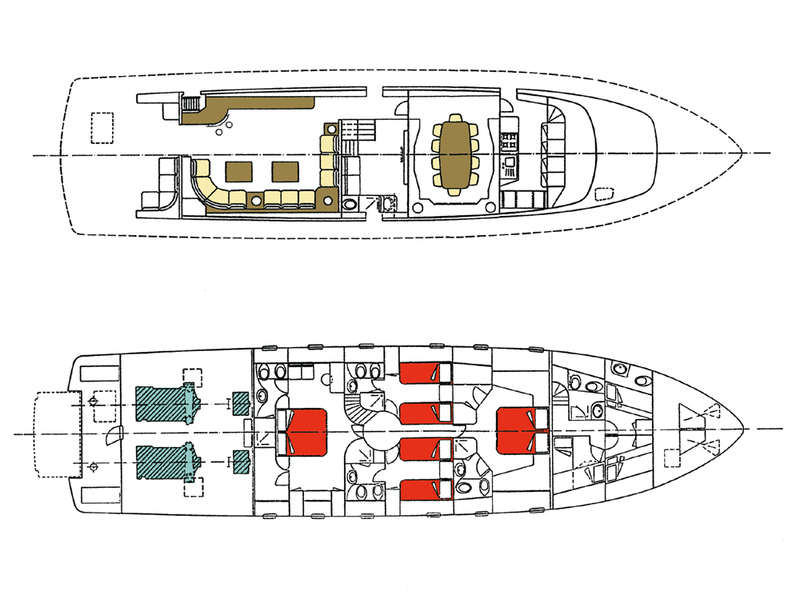 There is a day head on main deck separate dinette section. 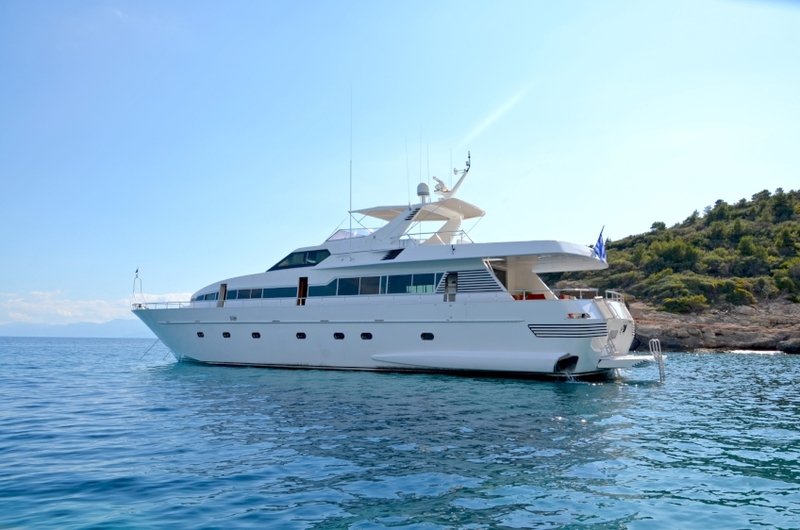 Charter yacht MY WAY has a good range of extras including the following Tenders and Toys” A 4,50m tender with 50hp Yamaha outboard, a jet ski, Snorkelling Gear, Fishing Equipment, Water Skis and tubes. Her Communications include a GSM phone and Fax and E-mail service. 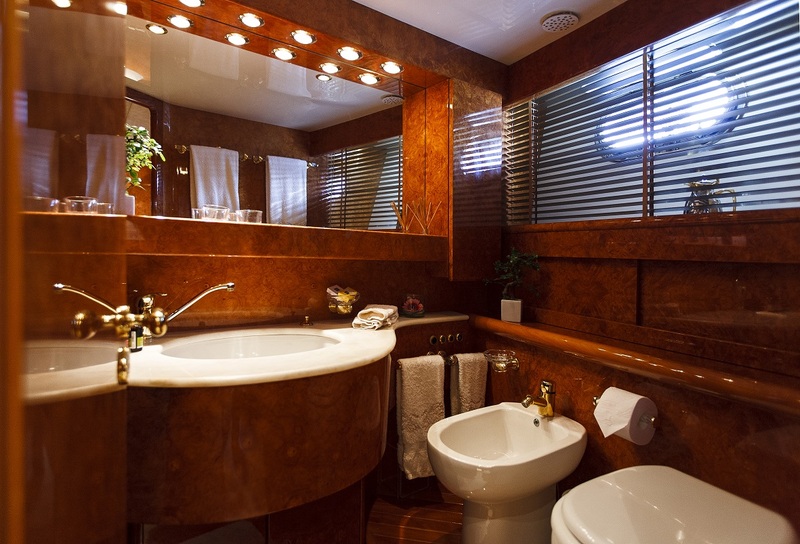 Audio Visual Equipment and Deck Facilities include SAT TV/VIDEO, DVD, CD Player, audio entertainment in Saloon, A TV, CD Player and board games in the cabins. Each cabin has a separate receiver.